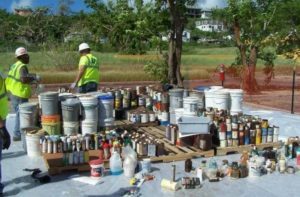 The U.S. Environmental Protection Agency (EPA) is working with local governments and residents on St. Croix, St. Thomas, St. John and Water Island in the U.S. Virgin Islands to keep hazardous materials out of the environment and minimize the amount of waste going to landfills through household hazardous waste collection events. 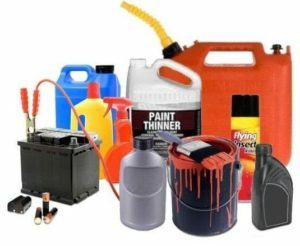 Household hazardous waste includes aerosol cans, household cleaners and chemicals, paint, and electronic items such as computers and televisions. 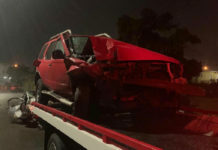 Household hazardous materials also include car and marine batteries, which have become a major concern due to the large volume of batteries being used by residents who are without power. Household hazardous waste should not be thrown out with regular trash as it can contaminate the land, waterways and groundwater. 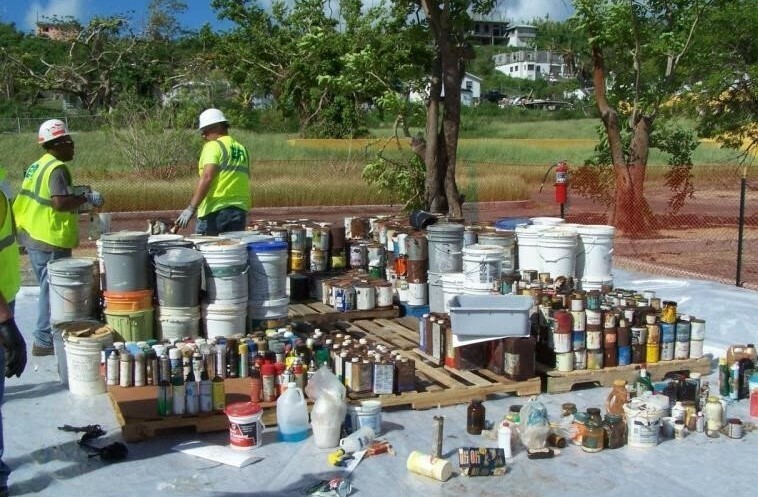 In the USVI, EPA personnel have evaluated and identified collection pad locations for household hazardous waste. Residents should drop off their household hazardous waste at the collection pad location closest to them. 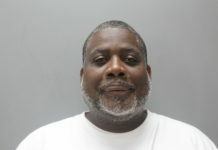 When transporting household hazardous waste to collection sites, residents are being asked to seal containers tightly, and bring their waste in its original container if possible. If the original container is leaking or residents are using a different container, they should label the container with its current contents. Products should not be mixed, as it can cause a very dangerous, and sometimes fatal, chemical reaction. Free collection every day from 8 a.m. to 5 p.m.
Free collection Monday through Saturday, from 7:30 a.m. to 4 p.m.
Free collection Monday through Saturday, 7:30 a.m. to 4 p.m.
For questions about EPA’s household hazardous waste collection program in the V.I., the public can call EPA toll free at 888-283-7626. For more information and photos, visit EPA’s Hurricane Maria website and Hurricane Maria story map.